This season has not been an easy one for the Lakers, and neither was last night’s game against Atlanta. Los Angeles had to score with less than 10 seconds left to come away with the win, but they held on for the 99-98 victory while returning to .500 for the first time since December 28th. 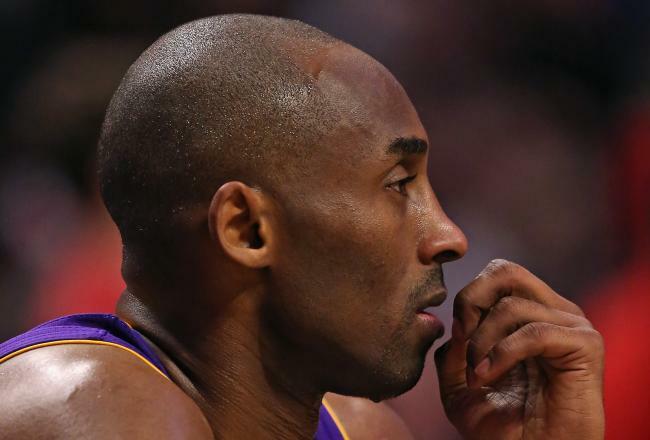 For a second consecutive game, besides Kobe Bryant playing at an insane level, the other key to victory was the three-point shooting of the team. Six different players added to the team’s 10 total threes, and the Lakers shot close to 50 percent. Last night was the fourth consecutive game that the Lakers have shot over 42 percent from three-point land. As the Lakers begin to venture into the final quarter of the season, there is finally some more comfort on their bench. Steve Blake has been back for a little over a month after missing almost three months with an injury in his abdomen, but is now beginning to find his rhythm. In the last three games, Blake has averaged eight points, three rebounds and five assists in 23 minutes of play. This is not big only for himself, but this is also big for Steve Nash, who, at 39 years old, will be able to get more breaks. Los Angeles is currently two-and-a-half games behind both the Utah Jazz and Houston Rockets and it seems as though one of those teams is going to fall off, given the way things have unfolded over the last month. Since January 25th, the Lakers have a 13-5 record, which is the fourth best record in the NBA. I need not say anymore besides look out, Utah and Houston. The Lakers began February with a big win at Minnesota, so it was only fitting that they ended the month with yet another big win against the Wolves. The Lakers doubled the win margin this time though, beating them 116-94 at the Staples Center while moving within two games of the eighth seed in the Western Conference. The Lakers have now beaten Minnesota an astounding 21 games in a row. In their last meeting, Pau Gasol led the team in scoring while Kobe Bryant scored 17 points,grabbed 12 boards and added eight dimes. 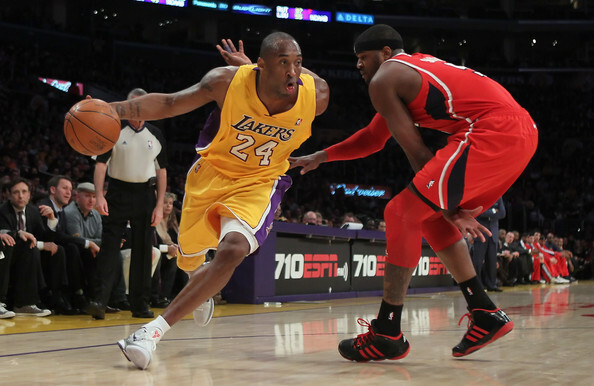 The Lakers did not have Gasol this time – he went down just four days after that performance – but Kobe picked up the slack, scoring 33 points on 59 percent shooting (also shooting 50 percent from behind the arc) in just three quarters. Kobe was not the only one producing for Los Angeles though. Six Lakers scored in double figures Thursday night, including Jodie Meeks and Steve Blake, who added a combined 29 points on 7-14 shooting from three point range. Including Antawn Jamison, these three combined for 46 points off the bench, which is a rarity for the Lakers. The biggest key for the Lakers though was their ability to score from both inside and out. The Lakers scored 46 points from inside the paint, including 10 from Dwight Howard, who shot an efficient 5-of-6 from the field. Their success on the inside translated to success from long range, as the Lakers scored 48 points on 16-32 shooting. Los Angeles scored 94 of their 116 points from either in the paint or beyond the three-point line. Add the twelve points from free throws, and the Lakers only scored 10 points from mid-range jumpers. Games like this do not happen very often, but with the way that they have been playing lately, numbers like this are promising. With the win, the Lakers moved within two games of the Houston Rockets and within two-and-a-half games of the Utah Jazz. 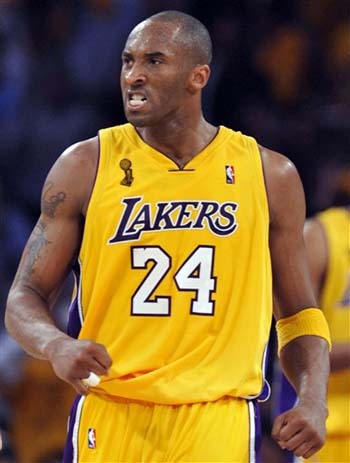 Call me an optimist because I am a Lakers fan, but the task of making the playoffs is a feasible one for Los Angeles. Of these 23 games, 11 of them are at home and they play 12 games against teams that are non-playoff teams. The Rockets also have 23 games remaining, and play 12 home games and also play 12 games against non-playoff teams. Utah plays 12 home games and 11 games against non-playoff teams. This race is going to be close, but the Lakers definitely have a shot to make the playoffs with the way that they’re playing. Lakers fans, and basketball fans for that matter, should keep April 17th in the back of their heads, as the Lakers host the Rockets on the last day of the season. The race will be close, so it may come down to the last game of the season. Keep your eyes peeled, folks.